Each Tuesday we feature audio or video of an SR Contributor reading their work. Today we’re proud to feature this podcast by Heather Altfeld. 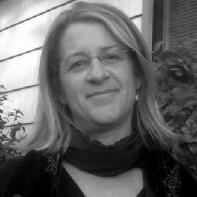 Heather Altfeld teaches composition at California State University, Chico. She is a member of the Squaw Valley Community of Writers and has published poetry inPleiades, ZYZZYVA, The Tule Review, The Squaw Valley Review, Clackamas, The Arroyo Review, and The New Guard, with poems forthcoming in The Greensboro Review and Zone 3. She has just completed her first manuscript of poems, entitledThe Disappearing Theatre. She loves to cook, travel, be outdoors, and she collects and adores children’s literature. Heather’s website can be viewed here. You can read along with Heather’s poems in Issue 10 of Superstition Review.